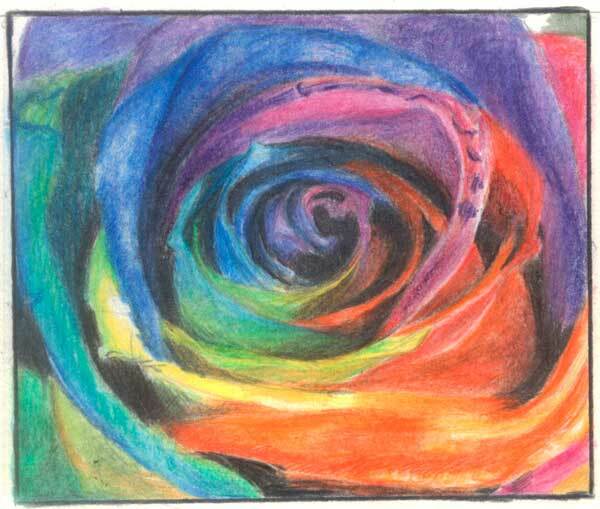 A Colored Pencil drawing of a Rainbow rose. This entry was posted in Artwork and tagged artwork, colored pencil, colored pencil drawing, rainbow rose on June 19, 2011 by Yami. My daughter read the article I wrote about athlete Adeline Dumapong many years ago. Adeline is the first Filipina Paralympics medalists and powerlifter from the Ifugago province. My daughter was amazed by Adeline’s achievement. Despite Adeline’s disability, she was able to finish school with flying colors and prove to the whole world that disability is never a hindrance to pursue one’s aspiration in life. One of her dreams for other persons who use wheelchair is to have easy access to public transport and other services being accorded to and enjoyed by other individuals. Persons with disabilities need wheelchairs to move about. They also need the assistance of pool lift to enjoy commercial pools. Adeline serves as inspiration to me and my daughter. I will never forget her strong will and determination to succeed despite the odds. This entry was posted in Inspirational and tagged Adeline Dumapong, differently-abled individual, Filipina paralympic medalist, paralympic medalist, powerlifter, wheelchair-bound on June 18, 2011 by Yami. My kids now are starting to get busy with school assignments. So having a little or less time in front of the computer or TV is expected. That’s not the case in our house. Both kids still manage to stay online or watch their favorite afternoon shows while doing their assignments. Kids! Although both of them understand our rule to refrain from watching TV unless done with their homework, they can still get away with it. I wonder what it would be like if we have an lg home theatre system. I guess it would be harder to refrain them from watching TV shows. I guess hubby and I are just too lenient with imposing house rules. How about you, what is your style in restricting TV and computer use at home? I’d be glad to hear from you. This entry was posted in Kids and School and tagged homework, kids and computer use, kids and tv use, on doing school assignments on June 18, 2011 by Yami.